Biotechnology (BT) is a science that owes its origin in the massive fusion of biological knowledge with technology. Our search for better living conditions is the driving force behind its rapid expansion. We have an intrinsic desire to live long in comfort, free from illness. In case of infection, we look for an overnight solution. Even a chronic kidney patient aspires for an immediate transplant. A farmer expects high-yield cereal crops tough against pests and diseases. We want to grow a rose that is a rainbow of colours. The list of our desires is much longer. However, biotechnology is such a discipline that doesn’t recommend shortening the bullets on the list. Biotechnology implies any useful technology designed to mitigate the problems in a practical manner in the domain of living organisms. To put it simply, biotechnology has been classified in terms of relevant colours. Blue BT deals with marine and freshwater life, using marine organisms and their derivatives to increase seafood supply and control the proliferation of noxious waterborne organisms. The green revolution is normally associated with increased agricultural production. Likewise, green BT accommodates agricultural processes to enhance productivity through micro-propagation, which is the production of a larger number of plants from the existing stock by selecting the right quality of plants and crops. Red is the colour of blood. So, red BT refers to medical BT, which is associated with drugs and antibiotics production. It plays a leading role in modifying organisms through genetic manipulation and significantly contributes to the handling of genetic issues. Likewise, by developing new ways of diagnosis by performing a variety of experiments, it continuously enhances the level of analysis while proceeding to a conclusion. With the help of stem cell therapy, it helps the organ to develop in an appropriate manner. The white revolution is concerned with the industrialisation of dairy products, especially in India. Similarly, white BT involves production processes in the industry to produce biopolymer substitutes, vehicle parts and biofuels, the invention of fibres for clothing and chemicals for different applications. At the household level, the industrial products are detergents for washing, sugar, plastics, fabrics and personal health care products. Gold BT is the synonym for bioinformatics, which is the marriage of data in relation to living things on a computer with scattered knowledge in biology. This marriage contributes not only in the innovation of new drugs but also in the improvement of fertility in crops and plants. It has a crucial role in enhancing the resilience quality, making organisms prosperous to cope up with adversities, such as drought, pests and diseases. 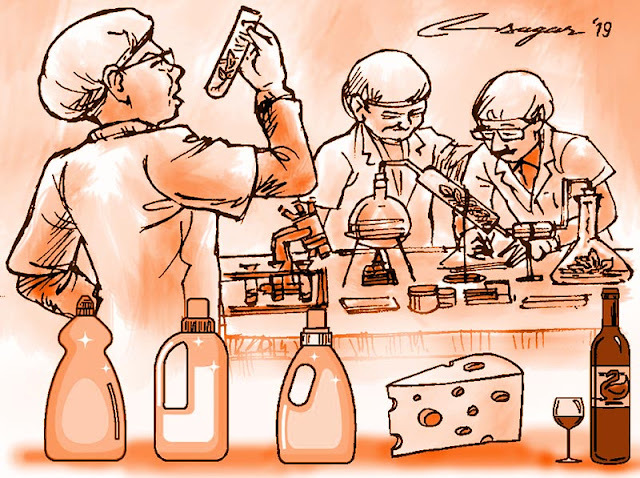 Yellow BT refers to the use of biological techniques in food production, such as wine, cheese, beer and gundruk through fermentation. Gray BT is dedicated to environmental applications and is focussed on the maintenance of biodiversity and the removal of pollutants. Brown BT is related to the management of arid lands and deserts and is involved in the creation of enhanced seeds that are resistant to extreme environmental conditions of the regions. Violet BT is related to law, ethical and philosophical issues around BT. Dark is the colour associated with bioterrorism or biological weapons and warfare in BT, which uses microorganisms and toxins to cause diseases and death in humans, livestock and crops. Application of BT is varied, extensive and complex. Genetic engineering has made it possible to insert fit genes to replace damaged cells. Fit genes inserted into a patient help treat a genetic disease, correcting the effects of a disease-causing mutation in favour of a healthy body. Hepatitis, cancer and heart disease can be treated with the use of biopharmaceutical drugs, which are being developed with the use of microorganisms without using any synthetic materials and chemicals. Genetic testing assists in recognising criminals and the parents of a child. Gene editing is a group of technologies which allow scientists which part of genetic material should be added, removed or altered at which location of the genome. A disappointing nexus of starvation and malnourishment has been curtailed with the use of biotechnology. Countries are falling prey to expensive oral vaccination. Injecting antigenic proteins into the GMO can bring about a difference in this situation. Research on biotechnology has grown steadily with a 117 per cent increase in published studies. Nepal doesn’t have a valid source to estimate the citation of research papers. China leads in biotechnology papers produced with 78,263 followed by India with 24,081. Having great opportunities in the emerging field of bio-economy, it should be embraced by developing nation like ours. Groundbreaking achievements have been made in the field of biotechnology, whether it is the diagnosis of malaria in two minutes, universal cancer tests under 10 minutes or nerve regeneration. In Nepal, we need universities with more labs that can be a platform for ideas and brainpower. It might be early to highlight the impact of biotechnology on the economy, but it is getting perceptible and growing fast.